Shows We’re Stoked For: SYBARITE5 at Sixth & I – Student Priced Tickets Til Friday! Attention GW students! This Saturday, the alternative string quartet SYBARITE5 is performing at Sixth and I Synagogue in Chinatown, and we couldn’t be more excited. Merging the popular with the classical, the ensemble “has taken audiences by storm all across the U.S., forever changing the perception of chamber music performance.” Finding inspiration from Radiohead to Mozart to Brubeck, their experimental compositions and arrangements fall far from traditional expectations (and limitations) of classical music. From Carnegie Hall to Alaska, SYBARITE5 has toured constantly over the past few years, showcasing their repertoire of beautifully crafted songs in an intimate yet dynamic live show. The quartet’s first CD, Everything In Its Right Place was released in late 2012 and features a collection of ten Radiohead covers. Their version of Motion Picture Soundtrack is particularly stunning, as is their 2011 EP, Disturb the Silence. Check out their promotional video here and their Bandcamp here. The Washington Performing Arts Society, who is sponsoring the event, has reached out to WRGW to offer discounted student tickets. They are $10 each and can be purchased at www.wpas.org or at 202.785.9727 by using the code STUDENT. This offer expires on Friday, February 7th (the day before the show), so act quickly if you want to go for more than half off. 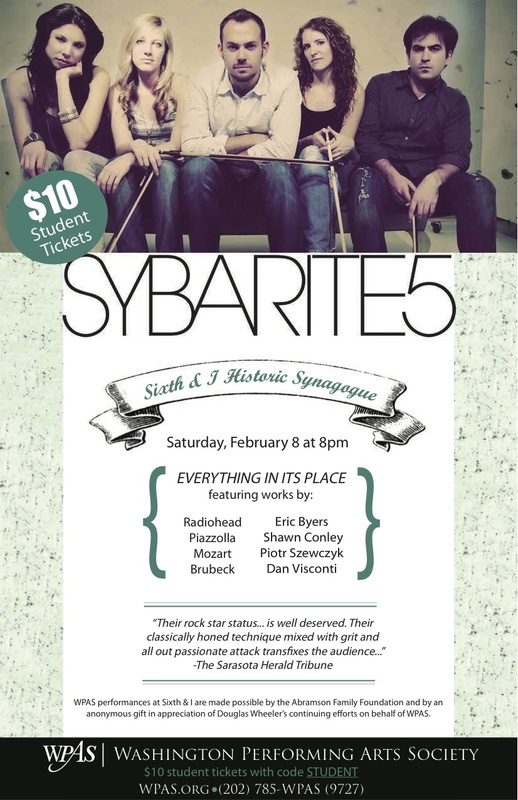 The combination of SYBARITE5’s vibrant music with the beautiful atmosphere of Sixth and I is a treat not to be missed. The WPAS’s full calendar can be found here: http://www.wpas.org/calendar.  Next PostNext Big Announcement Next Monday!